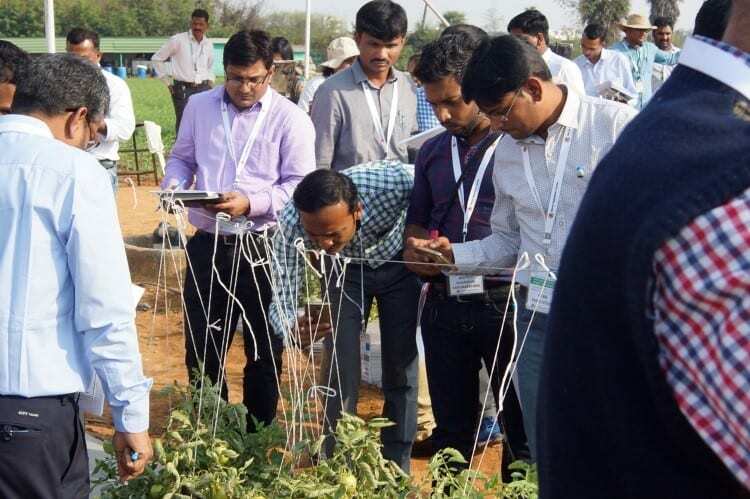 Participants evaluate tomato breeding lines in the field as part of the course activities. 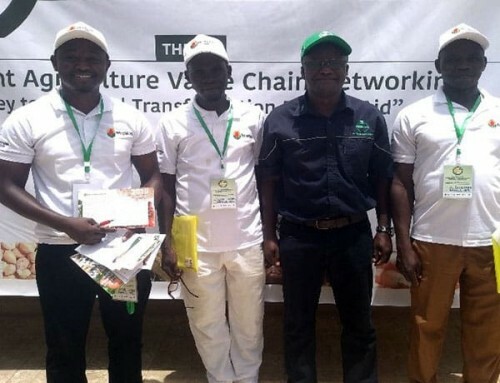 With the knowledge they have gained through the G2P-SOL course, these junior breeders will go on to develop the improved vegetable varieties of tomorrow. Breeding better crops requires access to diverse material for breeding. Genebanks worldwide conserve landraces and wild relatives of agricultural crops, but access to these collections is limited by lack of information on the available genotypes and the properties of these materials. The EU Horizon 2020-funded project G2P-SOL aims to improve access to genebank materials for breeding. It focuses on the four most important Solanaceae crops: potato, tomato, pepper, and eggplant. The project has established a catalog of the germplasm available for these crops, assembles germplasm sets of the four crops that represent the diversity in genebank collections, and identifies breeder-desired traits available in these sets. This information is shared with users through databases and dissemination events. 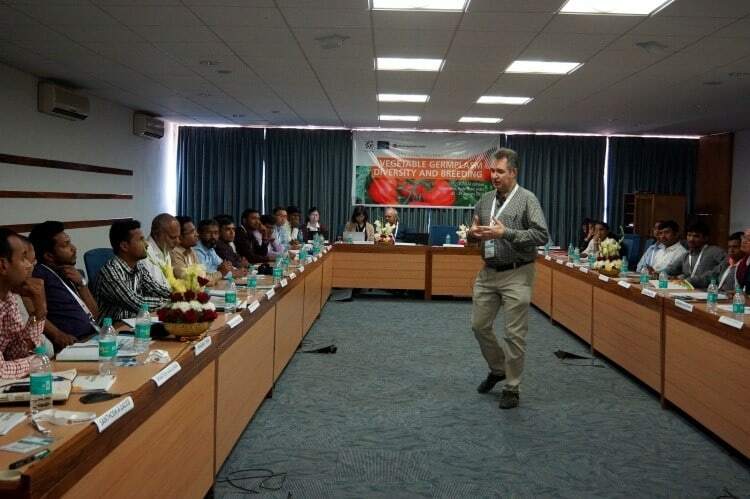 As part of its outreach activities, the G2P-SOL project held a training school organized by the World Vegetable Center in Hyderabad, India from 22-25 January 2018 for 29 junior breeders from India, Bangladesh, Sri Lanka, Indonesia, Malaysia and Taiwan. 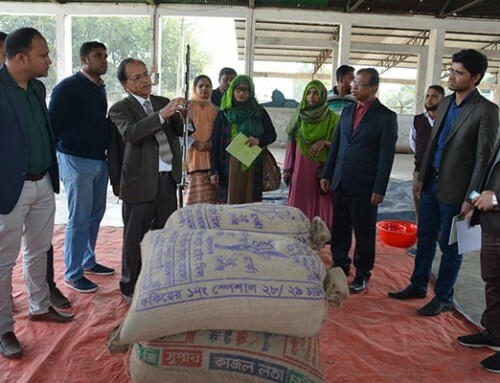 Genebank specialists, breeders, and a biostatistician informed the participants about the project and trained them in the use of genetic diversity in breeding. The lectures focused on germplasm conservation, access to genebank materials, and breeding technologies, including biostatistics and molecular breeding. 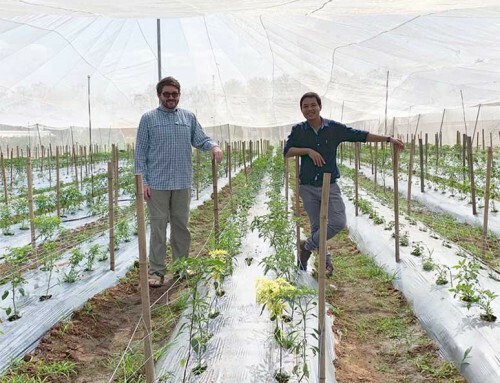 Visits to the WorldVeg tomato and pepper fields and hands-on exercises in seed treatment added a practical dimension to the lessons learned in the classroom sessions. Participants particularly appreciated the information on germplasm use, disease resistance breeding, and marker-assisted selection. 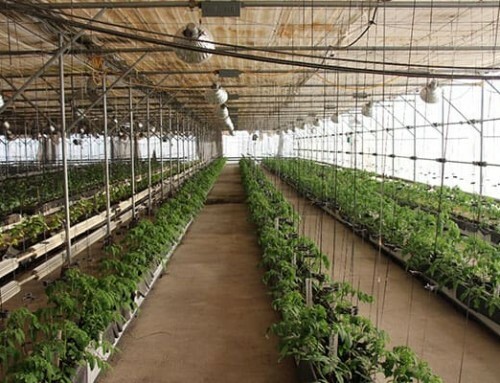 For future training events, they suggested including more practical exercises and focusing on a specific crop species, instead of the more general overview provided by the training school. Participants also enjoyed interacting with their peers from other companies and institutions and having the opportunity to build and strengthen their professional networks. Prof. Jaime Prohens (Polytechnic University of Valencia) explaining crop biodiversity in the classroom. 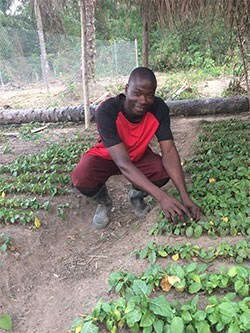 In conjunction with the G2P-SOL project, Wageningen University and Research will host an advanced training school to provide young breeders with guidance on how to use vegetable diversity from genebank collections to breed improved vegetable cultivars. 30 April – 1 May 2019. Four modules spanning presentations on the genetic diversity in genebanks to the G2P-SOL infrastructure, taught by internationally well-known lecturers. Junior vegetable breeders and PhD/Postdoc researchers from breeding institutes with a keen interest in more effective exploration of natural biodiversity maintained in genebanks, as well as the use of detailed characterization from state-of-the-art omics technologies. Open through 31 March 2019. Acceptance will be on a first come, first serve basis.